Like Vine before it, Instagram now allows users to shoot 15 second mini-videos. Though limited, the short time span allows you to really expound those creative juices and put your best foot forward on social media. We’ve already written about the impact of the Instagram move on Vine and understandably so. However, after looking at some of the Instagram attempts, we thought it might be a good idea to share some Instagram video making tips. 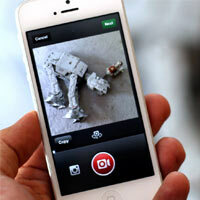 Instagram Video comes with a ‘cinema’ feature to reduce camera shake, however we would advise using a tripod. You can pick up a little phone tripod for only a few pounds nowadays and they make all the difference to a Instagram video. Let the action inside the frame do the talking and if you start with an interesting shot, then whatever’s inside that shot will be more inclined to be interesting. Instagram photos can be brought in from elsewhere, however this is not the same with video – as of yet anyhow. So, if you are shooting, think about light, environment, framing and similar aspects to get your video right. Also, Instagram comes with 10 video filters, so if you want to video in a retro fashion, use the filters. Be aware that the video should be good in the first place, because though a filter can be added, it won’t sharpen contrast or make it crisper. Shoot in spaces where light is good, not too harsh and not into direct sunlight. You can however control exposure levels by tapping the area of the screen that you want as a point for exposure. The image gets brighter if you tap on a dark section or not if you do the opposite. As we’ve often advised in YouTube articles and other video related pieces, choose a cover photo that interests and creates the right first impression. Having a random clip automatically used as your front tab isn’t going to work. Use a photo that captures the essence of the video, captures the emotion and one that’s unique. By keeping the main object in the centre and letting any action happen to it, you reduce the amount of effort you need to put in to make something extremely successful looking. Things get a lot more complex when you move beyond one shot alone. One trick here is to take a close up and then following up with a wide shot to put things in context. All of these things will hopefully help you create better videos and encourage your work to shine. Need any help with your video production? Get in touch with MySocialAgency today.